Joyce's Apartment: What grout color should I use? white? light grey? or dark grey for something dramatic? 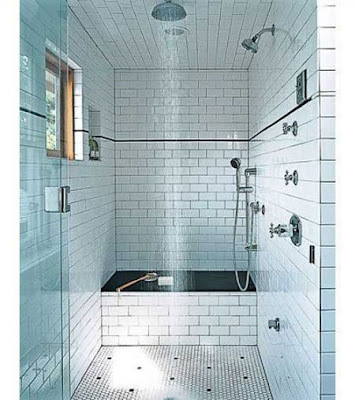 on a side note, I like this look, dark grout with subway tiles. Unfortunately, my bathroom will look nothing near to this. Will post more photos of my house soon.